"I had the lovely Annie share my fourth pregnancy and birth experience with me. It was by far the best and most positive labour and birth I have had so far... being informed, confident in my choices and supported 100% all the way, has made all the difference in the world." Support reflecting your values for an informed, empowered and peaceful birth experience. Three years ago I began my own relationship with pregnancy, labour, birth and motherhood as I walked through that door and became a mother myself. Before I got to that birth suite, I had no idea what to expect (as is the case for many of us!) I wasn't scared or worried but just blissfully unaware of what was to come. I figured I would figure it out on the day. But then a few wise women in my family suggested that I get myself educated in birth, find some meditative techniques to support me and make a plan for what was most important to me in birth. I am so very glad I took their advice. What followed was a strong, calm, positive, oxytocin-explosion birth, kicking off my obsessive love for my baby and for birth. I didn't know how, but I knew I was a birth addict and I just had to follow that calling! As a new mother, I was shocked to find that many other mothers around me were not as proud and positive about their birth experiences as I was. My heat broke for the women I knew who felt unhappy or even disempowered by the birth of their children. The more I came across this, the stronger my resolve became- I needed to support other women to have the best birth they could possibly have. Fast forward a few short years and now trained as a Doula and a Hypnobirthing Australia Educator, and having given birth to my second baby, I know I have followed my heart to the right place. And what I have learnt above all else is that no two people will have or experience birth in the same way. And no two people will want the exact same thing for their birth. What may be my absolute dream may be another person's nightmare. Why Choose Deep Blue Birth? Your life story and experiences are your own, as unique as you are. This is central to how you will experience birth. As a Birth Attendant and Childbirth Educator, my role is to be a resource offering support to you and your birth partner in making choices and creating your own birth story. It is my absolute privilege to cheer you on throughout this utterly defining journey. As a pregnant, birthing or postnatal person, you deserve respect, adulation and celebration. You are owed empowerment, pride, love, support, reassurance and clarity for informed choice, whatever you seek from birth and however your birth plays out. You are individual and special! All parents, all babies and all births are different! There is no one right way to birth or to parent. My goal is to be an open heart and an open mind providing clarity on your options and quality education to allow you to make your own informed choices. This transition to Motherhood or Parenthood and all the achievements and challenges therein should be attributed to you! The birthing person and birth partner. Your relationship with your Doula and your Health Care Professionals is finite, as they act as a support for you and/or your birth partner throughout this life-changing transition. Your relationship with your child is for ever. You will never forget the way in which that beautiful baby came into your world. Deep Blue Birth's support and programs aim to scaffold your journey. Preparing and assisting you in beginning this lifelong bond with a positive birth experience that reflects your values and fills you with a feeling of contentment and pride regardless of what unfolds. Join us to take part in Guided Waterside Meditation and Relaxation. Allow the rhythm of the waves to stimulate your breathing and visualisation in preparation for Labour and Birth. For caring and compassionate non-medical support for pregnancy, birth and early parenthood- contact DBB to enquire about Birth Attendant Packages. Whether you want support before, during or after your birth experience (or all of the above)- we can arrange something to meet your particular needs and wishes. Birth, Maternity and Postpartum Photography can also be offered on request. Birth Attendant fees begin at $1450 for our standard package and can be adapted for your circumstances. Deep Blue Birth is so excited to offer the magnificent and highly regarded Hypnobirthing Australia™ Program. 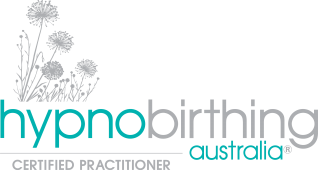 Hypnobirthing Australia™ is a uniquely designed program for Australian mothers and their birth companions. 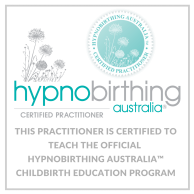 Hypnobirthing Australia™ classes prepare you with the knowledge, confidence and tools you need to birth calmly. Birth can, and should be, a positive experience – one that you will always want to remember! But what is the Hypnobirthing Australia™ Program? 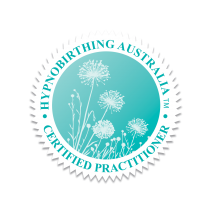 "The Hypnobirthing Australia™ course is the most up-to-date, Australian hypnobirth program available and we know that you are going to love it!" "When a birthing mother is prepared with knowledge about the birth process, tools to stay positive, calm and more comfortable through labour, has good support and a method of preparation for both mind and body, birth can be a very positive and empowering experience." "The course and techniques are all especially designed for Australian mothers and their birth partners; and our models of maternity care." Group programs run monthly in Chelsea or Private classes can be scheduled in Melbourne or Ballarat. Call or email us to secure your place in our upcoming classes! The Deep Blue Birth Childbirth Education Program offers weekend or evening sessions based in Frankston and Ballarat. This single-session based workshop has been specially designed for expectant parents living within these particular communities. The focus of the DBB Program is to take your specific values into consideration whilst covering a wide range of topics and facilitating broad inquiry and discussion. Deep Blue Birth gives you and your birth partner REAL tools for your positive birth journey, aligned with what that means to you. Should you wish to couple your Deep Blue Birth Session with Waterside Meditation Sessions, you will receive a $10 discount from your set of 5 or 10 sessions. Annie knows that although medical interventions are sometimes required in the birth space- a strong, calm, positive mindset is perhaps the most valuable tool for the marathon that is birth. 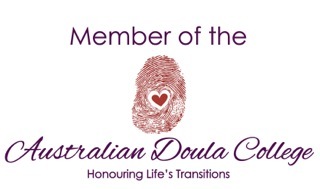 Having worked for many years as a Teacher and Early Childhood Professional, Annie completed her Doula training through the Australian Doula College and undertook Childbirth Educator training at the Royal Women's hospital in 2017. She completes her Hypnobirthing training at the conclusion of 2018. Expressions of interest for July or August welcome!